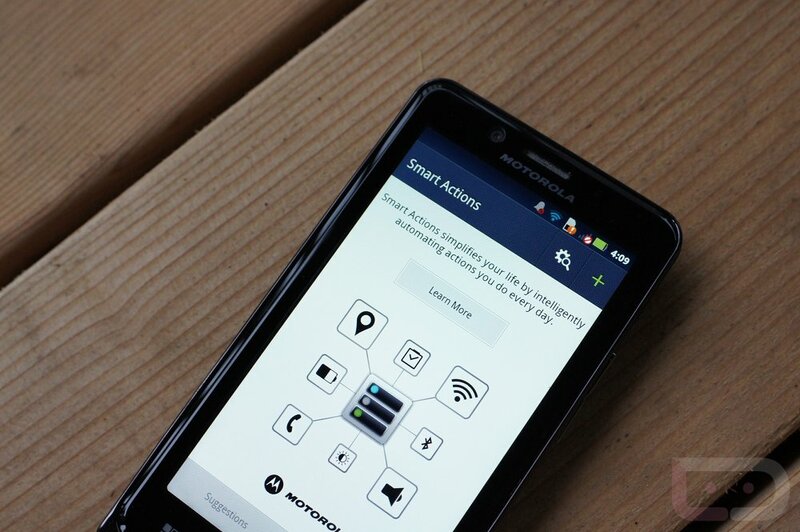 DROID Bionic owners no longer need to be jealous of the DROID RAZR’s Smart Actions application. Thanks to iNsAnEmOd for sharing the apk, users can now download the actual Smart Actions app and load it as a third party app right onto your device. Smart Actions is Motorola’s way of trying to extend your battery and basically automate your life. By launching certain applications and settings when actions happen or you are at a certain place during the day, your device will react as you program it to. You can program the app to launch your favorite music playlist if you’re at the gym, or have it toggle on WiFi as soon as you arrive at home from your day at the office. It has received a lot of love from RAZR owners, so if you own a Bionic, be sure to give it a go and let us know what you think. No root required. Install as you would any other non-market .apk.